INDIANAPOLIS -- Sometimes you just want to start with dessert. So, I did - coconut creme pie and toffee creme cake. Dessert is what I was really craving when I visited Ralph’s Great Divide in the Lockerbie Square district in downtown Indianapolis. You’ll find it at 743 E. New York Street. The homemade coconut creme pie gets rave reviews, so I had to try it. It was light, creamy and flavorful. 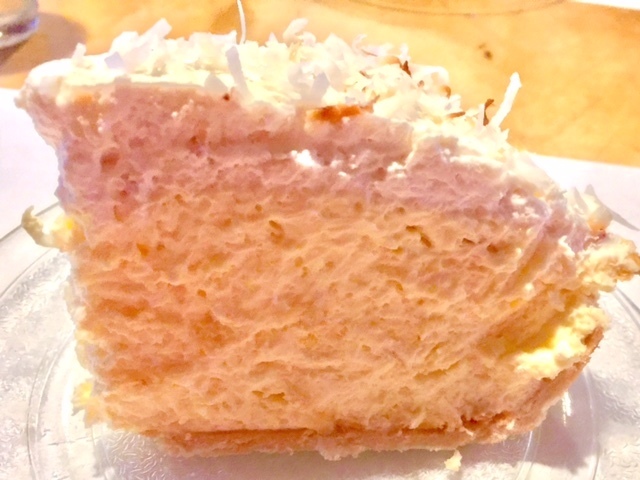 The whipped topping was covered with shredded coconut and piled high on a flaky crust. The toffee creme cake was moist with several layers of light creme and scattered chunks of toffee. The server told us about a wide array of homemade desserts to choose from, and all sounded delightful. The Hot Pot Pig is another favorite at Ralph’s Great Divide. It’s cream of potato soup with bacon, smothered with pepper jack and cheddar cheeses. The cheese is melted on top, hugging the brim of the cup, and underneath, hearty chunks of potatoes fill the cup, with just enough savory cream soup. For my entree, I went with the trombo, which is a half-sandwich with a cup of Hot Pot or Ralph's Chili, and choice of dessert. I enjoyed a tender prime rib of beef sandwich, and a cup of meaty chili. We sat at a table in one of the inside dining areas, but there’s also seating at a bar and an outdoor area. 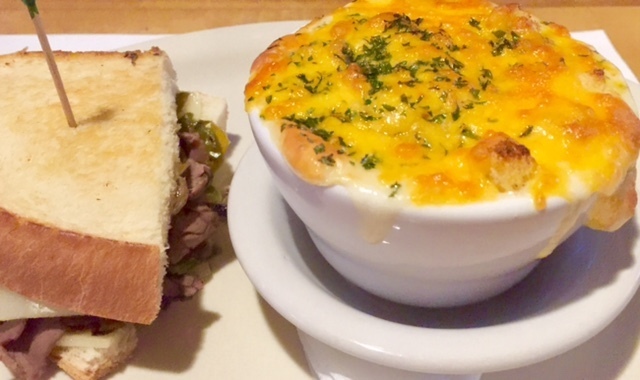 Family owned and operated, Ralph’s Great Divide has a very casual atmosphere all around, nothing fancy, just a good down home spot that has regulars boasting about its delicious sandwiches, steaks, seafood, sides, salads, signature soups and desserts.